The police told Stomp that they are looking into a case of voluntarily causing hurt which occurred in the wee hours of Aug 31 at Ang Mo Kio Avenue 5, involving a ComfortDelGro cabby and his passenger. Taxi driver Mr C K. Tiong had posted videos of the incident several days later, showing the passenger engaging in bizarre antics such as lying on the taxi bonnet and slouching about. Stomp understands that the passenger was intoxicated. Mr Tiong, a 62-year-old who has been in his job since 2012, told Stomp in a Sep 5 report that the man had also hurled "plenty of f words" at him. 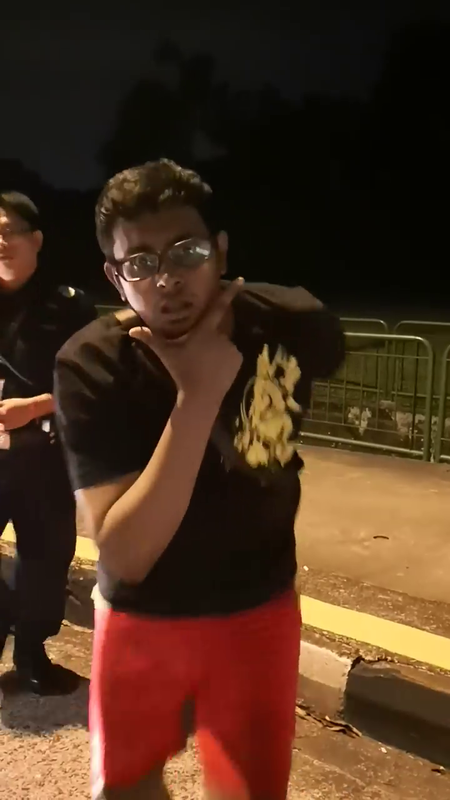 "He punched me from behind when I was talking to someone else and when I turned around, he spat in my face," added Mr Tiong, who called the police. In response to a Stomp query, the police said: "On 31 August 2018 at 3.07am, the police were alerted to a case of voluntarily causing hurt along Ang Mo Kio Avneue 5. Read Mr Tiong's account of events in the original article here.